As a result of the immovable and indestructible nature of land, property law is concerned with a wider variety of rights, obligations and interests than most other areas of law, and can prove daunting to those studying the subject for the first time. 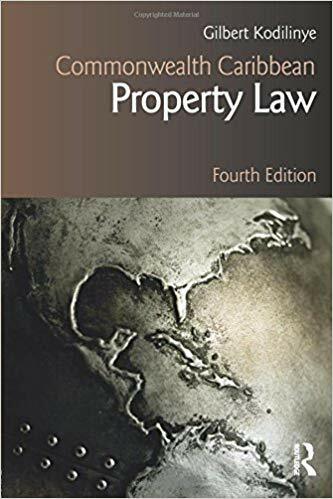 Commonwealth Caribbean Property Law sets out in a clear and concise manner the central principles of the law of real property in the region, in order to guide students through this often complex and confusing core subject area. In this new edition, the book has been fully revised and updated to include important new case-law from the various Caribbean jurisdictions. There is also a new chapter on Registration of Title. With comprehensive coverage of the main topics studied by undergraduates, this textbook is essential reading for LLB students in Caribbean universities. It will also serve the needs of those studying for CAPE Law or those following courses for paralegals. In addition, the extensive coverage of land law from a Caribbean perspective, coupled with the analysis of the substantive laws of several jurisdictions, will make this text a most useful reference tool for practitioners.